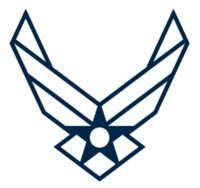 Air Force ROTC offers scholarships to graduating high school seniors. These scholarships are competitive, and are based on the whole person concept. Once contracted, in addition to receiving the scholarship, awardees receive book money and a monthly tax-free stipend. Applications and information regarding scholarships can be found at www.afrotc.com. Air Force ROTC offers scholarships on a limited basis from 2 to 3.5 years. All cadets on scholarship receive a $300 – $500 monthly nontaxable stipend during the school year and additional money for books. Applications are submitted locally through the AFROTC Detachment, and are considered based on performance and merit.